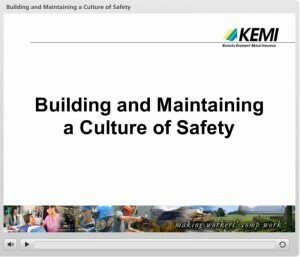 KEMI offers a library of interactive multimedia safety presentations that can be easily viewed online. At the conclusion of each presentation, viewers will have the option of answering questions about the content and may complete a brief form to gain access and print a customizable Certificate of Completion from KEMI free of charge. Falling from a ladder is a preventable accident that causes many workplace injuries. Jeff Floyd covers many aspects of Ladder Safety including tips to help avoid common mistakes. (5 minutes) Access the Spanish version here.